Good Housekeeping Magazine on sale for $4.95/year for up to 4 years. I do not know about you, but I love Good Housekeeping! 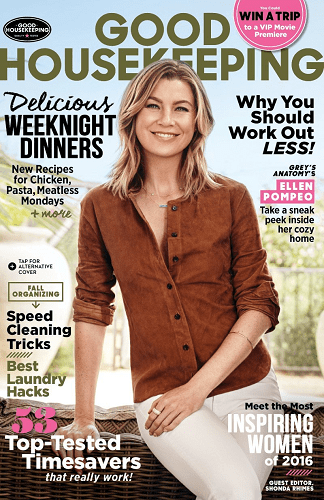 Right now, you can subscribe to Good Housekeeping Magazine for just $4.95 a year (73% off). Just enter coupon code: THRIFTYNWMOM . You can purchase up to 4 years at this price. This offer expires Saturday 10/13 at 8:59pm pst. Good Housekeeping Magazine is devoted to contemporary women. Articles focus on food, fitness, beauty, and child care using the resources of the Good Housekeeping institute. From human interest stories and social issues to money management and travel, the magazine will encourage positive living for today’s woman.